This is, again, late; I’m thinking that my originally intended schedule of one of these a week may have been overly ambitious, especially with the semester starting soon. Regardless, here’s this week’s installment: having covered the kind of game that I think is best placed to tell stories well, I want to talk about a kind of game that I think is both extremely well and extremely awkwardly placed for storytelling. And I want to focus on a particular company that has a particularly ambitious way of going after this. I still remember the summer of Vice City. Or maybe it was spring. Or possibly it was winter. I can’t honestly remember that part. What I do remember: I was in college, I was new to Grand Theft Auto, and Vice City devoured my brain. I had paid Grand Theft Auto III some moderate attention when it came out; like most people at the time I found it impressively ambitious (and in fact ‘ambitious’ is the first and primary descriptor I would use for all other Rockstar games since, whatever other descriptors I might choose), but for one reason or another it didn’t quite grab me. But then I got Vice City and everything changed. What I remember most about the game is its extravagantly joyful exuberance; it was crazy, fun, over-the-top, completely lacking in respect for anything, tongue placed firmly in cheek and prepared to take absolutely nothing seriously. My husband and I still talk about that one time where I tried to rescue the perfectly-named Lance Vance with my bright purple sports car on fire, flying through the air while blasting Katty B’s rendition of “Let’s Hear it for the Boy”. We jumped ice cream trucks over planes. We got the army to come after us with tanks, and we drove circles around the tanks on Vespas. We flew helicopters into palatial high rises. It was better than real life. In a sense, ‘real life’ was the direction toward which Rockstar was heading, though we would never have known that at the time. 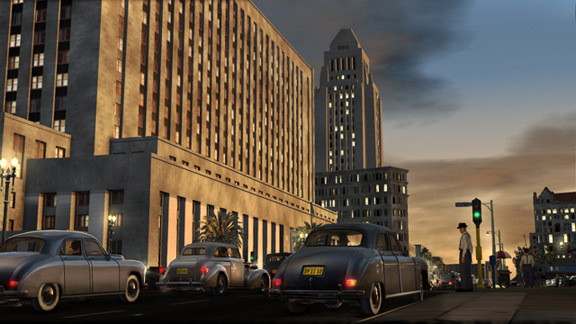 The follow-up, San Andreas, was still a lot of fun, but it was also much, much bigger; instead of covering the area of a city, Rockstar constructed three states with three major metropolitan areas for the player to explore. I recall feeling like it was almost oppressively large. There was also much more to do, most of it in the form of minigames: you could eat, you could date, you could work out, you could buy wardrobes of clothes, multiple safehouses, you could gamble, you could dance… and this was aside from the primary storyline and side missions. Not all of this was required, but some of it pretty much was if you were going to get the most out of the game. 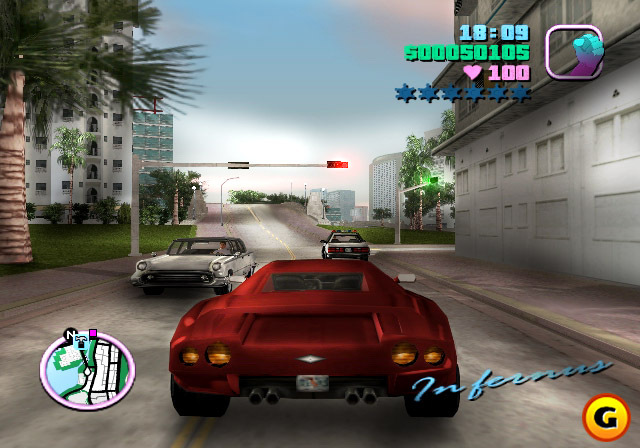 But aside from the incredibly detailed and interactive gameworlds, what set Vice City and San Andreas apart were their stories – tales of betrayal and revenge, of marginalized people who manage to buck oppressive systems and triumph, albeit decidedly outside the bounds of the law. They were stories of profound moral ambiguity, complete with social commentary that was both clever and often bitingly funny. Then came Grand Theft Auto IV. And this is where I feel the franchise took a bad misstep. To date, I haven’t actually finished the game, and it’s not for lack of trying. I badly wanted to play it when it was released, and it’s frustrating to me that I haven’t been able to break through the barriers of gameplay to the real meat of the game, which is – surprise – the story. 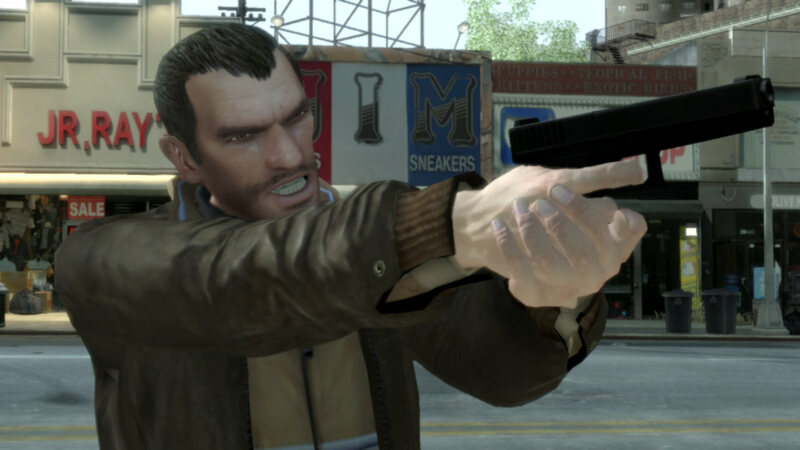 If the GTA franchise’s protagonists had been antiheroes before, Niko Bellic is a step beyond into something truly nuanced and interesting: he’s a soldier and an immigrant, someone whose relationship to state power in general and America in particular is multifaceted and deeply problematic. Niko doesn’t particularly enjoy violence, but he’s unable to escape the fact that he is supremely good at it – a fact of which the people around him are eager to take advantage. And part of him does enjoy it; like any newcomer to a strange country, he wants to be both useful and to maneuver himself into a position of privilege. He wants to work, and he wants to make good. Crime seems to be the avenue that presents itself, over and over. It’s not a new story. But Rockstar tells it very well. It’s too bad that GTA IV, in its attempt to be interactive beyond any other game, obscures its story in nitpicky minigames. In short, there’s just too much to do – too many dates to go on, too many relationships to maintain, too many jobs to do, too many phone calls to answer (the addition of a cell phone to the game was probably the crowning mistake). It’s crowded to the point of claustrophobia, and the result feels fractured and unfocused and altogether too much like real life to be very much fun. It’s worth emphasizing at this point that it’s the intense level of explicit interactivity (to reuse a term from the last post in this series) that gets in the way of cognitive interactivity – emotional and mental engagement with the world of the game. In this particular case, less of one is, to a point, more of the other. Rockstar fixed a lot of this in Red Dead Redemption, which I feel hit a much steadier balance between the two; there’s a lot to do, but almost all of it is optional, and if the player wants to just get on a horse and ride around, nothing in the game really prevents her from doing that. But RDR also fails in exactly the way in which it’s – again – most ambitious: its story. Since Vice City, I had experienced a growing sense of disconnect between game and story when it came to Rockstar’s sandbox games, and RDR helped to crystallize exactly what was going wrong. This, I think, is the crux of the problem: the more total interactivity a game affords you, the more likely it is that your player-controlled protagonist’s actions in the game will not match the protagonist’s actions in the storyline. 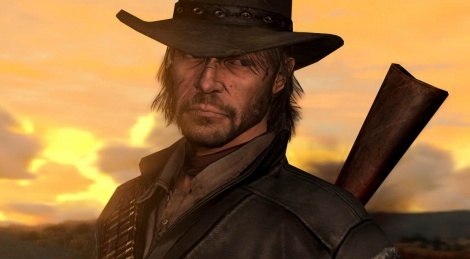 This is thrown into especially sharp relief in RDR because of exactly what kind of man the story tells you John Marston is – he’s far more a good man than Rockstar’s previous protagonists, though he clearly has his dark past and his dark side. Each plot point and story element emphasizes his fundamental decency, his dislike of the things he’s being forced to do in order to secure the safe return of his wife and young son, his desire to live in peace without trouble or interference by an oppressive and frequently psychopathic government. If Niko Bellic is ambivalent about violence, John Marston is openly repulsed by it, though he’s also clearly a man who will do what he feels he has to do. This is the Marston the story tells you about. The Marston in the game, however, is a man who can – if the player wants – tie women up and throw them on train tracks, murder people in cold blood, rob banks, and any number of other dastardly deeds. There is clearly a mismatch here. And it’s a mismatch that highlights an intrinsic problem of open-world games – games with a very high degree of explicit interactivity: the more fully realized your protagonist and ambitious your story, the more the player’s actions can disagree with that characterization and that story. As Bissell says, in effect you’re left with two different stories – the story told by the, well, the story… and the story told by the game. If you want to get really invested in a game’s story, this is probably going to be a problem for you. At best, there is a sense that nothing you do in the gameworld has anything to do with the story – it merely becomes something that you observe along the way while you’re doing everything else. This stands in contrast to the immersion possible in an FPS, where the actions of the player are just constrained enough to bring them in line with the story, but as a result the player feels more deeply invested in helping to produce the story through action. So there’s a tension, as Bissell points out. Sandbox games are uniquely positioned to highlight this tension between explicit and cognitive interactivity – too much of one is less of the other, if it’s all about engagement and if a player requires both in order to truly be engaged. Again, though, it’s not that interactivity and storytelling are enemies. It’s just that different kinds of interactivity are needed in different amounts for good storytelling in games – and different kinds of games are better suited for ambitious storytelling. Sandbox games are great for messing around. They might not be so great for telling complex stories with particularly nuanced characters. That said, sometimes all I want to do is ride out on the prairie and shoot some deer.